The Love-of-my-life asked me, "Don't you run out of things to write about? How do you pick what to blog about?" And TheHackerCIO replied to her, "I write about whatever pisses me off! "And that's an renewable resource." To adapt the banner tag from the New York Times, TheHackerCIO blogs "All the News That's Fit to Piss Me Off." 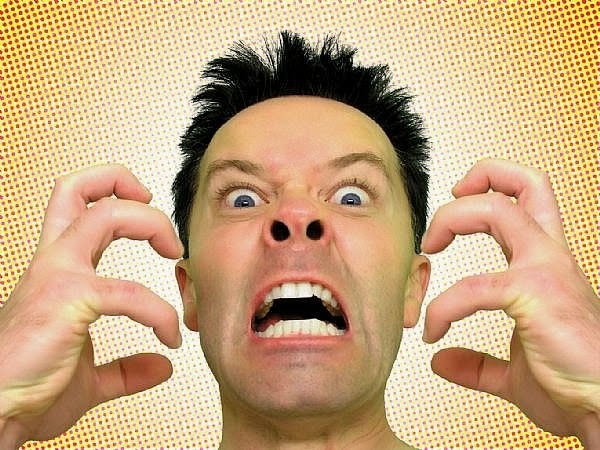 One of my business development partners told me, "At client X, it seems that the every project originates from anger! Someone important gets upset and then a project to correct it is started." It might not be the best way to organize development management, but it definitely ties requirements back to values and priorities. These two stories illustrate a central point about development. It is the frustration of values that brings about the need for creativity and work. That's why requirements are inexhaustible. So long as not everything imaginable is now achievable, we have work. We have requirements. We have User Stories; and a Product Backlog. And the only way to level these requirements to the time available for programming is by the mechanism of cost. The inexorable law of supply and demand is what reduces the infinite demand for new features to the limited supply of programmer labor. The Agile technique of bidding points -- a form of estimation -- against User Stories is a wonderful mechanism for directly linking the demand for requirements to the supply of programmer labor. Since programmer's backgrounds are not all created equal and since the "requirements" are not standardized commodity contracts, like Pork-Belly Futures Contracts on the Chicago Mercantile Exchange, we need a way to standardize them and price them. And this Agile technique is the best such pricing mechanism I've seen in any methodology. It directly addresses all the issues, and with a direct tie back to the bidder. The programmer has "skin in the game." The winner, after all, must deliver the User Story in the time he bid. But this doesn't reduce the total anger, because every new feature leads to the imagination of ten more! Or a hundred! Anger is a beautiful thing.